In the time-honored tradition of fine furniture, the Avery collection is built and hand-tailored by skilled craftspeople to your discerning specifications. Each piece from the Avery collection is made to order in Hudson, North Carolina. Not only does this guarantee a high-quality product, but it allows you to special order exactly the sofa you've been looking for. Order an 8-way, hand tied suspension system for decades of structural support. 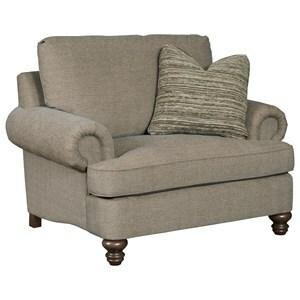 Or choose a cushion that's more firm or plush to match your seating preferences. 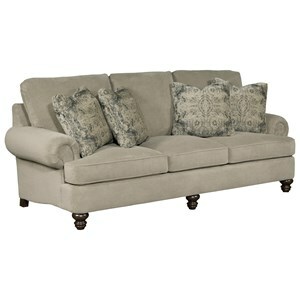 And of course, you can decorate the Avery sofa and chair to match your home perfectly with hundreds of fabric choices, accent welt cords and trims, pillow choices, and wood finish colors. 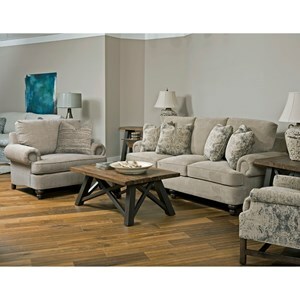 Browse other items in the Avery collection from Belfort Furniture in the Washington DC, Northern Virginia, Maryland and Fairfax VA area.